When you sign an official document, you often must have a notary public create a notarial certificate that attests that the document is legally binding. The notarial certificate verifies that all parties executed the document following proper protocol. The notarial certificate includes the notary's stamp, signature clause and signature line. Each notary has his own stamp or embosser that includes his name, the state and county of his notary commission, and his commission expiration date. The commission expiration date indicates when a notary’s license ends and when he must renew his notary commission. Some states also require the stamp to include the municipality where the notary practices. Can You Notarize Across State Lines? The signature clause contains language that explains that all parties entered into the contract in the presence of a notary. Different signature clauses exist for different notarial situations, such as oaths, depositions and affidavits. 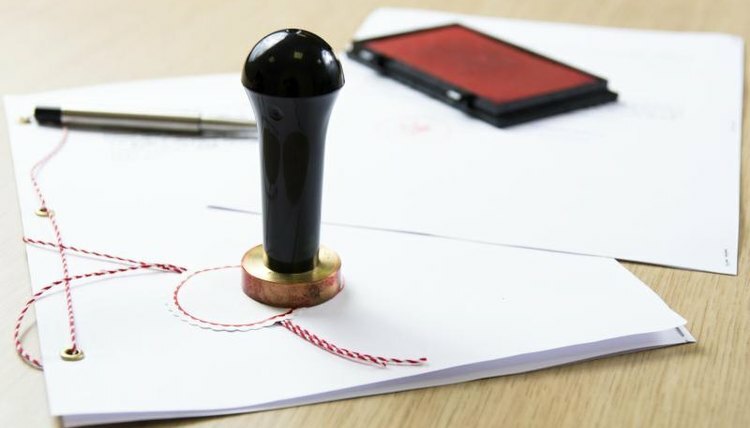 A notary may not use a rubberized stamp for his signature, but some states do allow a notary public to sign electronically. The notary public does not always have to witness the signing of the document. If he does not witness the signing, he can perform an acknowledgement, where the notary confirms the identity of the signer and attests that he is the one who indeed sign that particular document. Thompson, Lindsey. "Notary Signature Line Information." , https://legalbeagle.com/6300945-notary-signature-line-information.html. Accessed 25 April 2019.